Listed below are homes for sale in Westmorland, a neighborhood located in Near West Madison, WI. Listings are updated multiple times a day from the SCWMLS. For more information about any of these Westmorland homes for sale, just click the "Request More Information" button when viewing the details of a property. We can provide you with disclosures, past sales history, dates and prices of homes recently sold nearby in Madison, and more. And, for your convenience, register for a free account to automatically receive email alerts whenever new Westmorland listings come on the market that match your search criteria. Westmorland is a perfect neighborhood for young families, retirees and everyone in between. Close proximity to Midvale Elementary School and the Sequoya Branch of the Madison Public Library System make the neighborhood a popular draw for homebuyers with young children. Westmorland has plenty to offer parents, too. 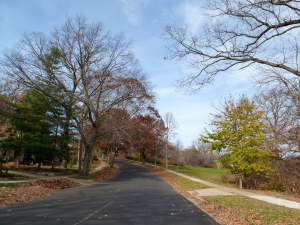 Close proximity to Glenway Golf Course, the University of Wisconsin Arboretum and the Capitol City Bike Path offer endless opportunities to relax and exercise close to home. Those surrounding natural areas lend a serene, park like atmosphere to Westmorland. Meticulously landscaped yards and gardens also add to Westmorland’s ambiance, the neighborhood’s annual Summer Garden Tour draws visitors from around the city. Additional neighborhood events include a Winter Play Day, holiday parties, fundraising events and parades. Post-war development brought a variety of housing stock to Westmorland in the 1940s. The neighborhood offers Cape Cod, Colonial Revival, Tudor Revival, International and Ranch-style homes that showcase Madison’s rich history of architectural prowess. In fact, the work of renowned architect Frank Lloyd Wright is on display here. The area also includes a number Lustron homes, one of the most unique housing structures in the country. These homes were constructed from pre-fabricated porcelain steel from 1949 to 1950. Westmorland offers a variety of housing options for buyers with varying needs. Modern condominiums are located in the Sequoya Library mixed-use development along Westmorland’s eastern corridor. Local shops, cafés and eateries there are popular draws for Westmorland neighbors. Glenway Golf Course lies just across the community’s northern border, and Westmorland Park is located at the heart of the neighborhood. Westmorland’s central west side location is among its greatest assets. The University of Wisconsin Arboretum, which is a short stroll away, offers opportunities to walk, bike, cross-country ski or snowshoe on miles of trails that wind through more than a thousand acres of prairie lands, wetlands and savannas. The Glenway Golf Course is just north of the community, and the Odana Hills Golf Course is located just southeast. 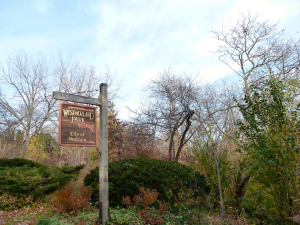 The Vilas Zoo and a selection of neighborhood parks are also within close range of the neighborhood. Westmorland is less than four miles from Downtown Madison, and five miles from Middleton. West Towne Mall and Hilldale Mall, two of the most popular retail and dining destinations on Madison’s west side, are both less than four miles from the neighborhood. For information about finding a home in the Westmorland neighborhood or to sell your Westmorland home, contact our team for a better real estate experience. 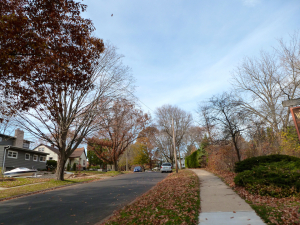 Westmorland neighborhood is located on the Near West Side of Madison in MLS area Madison – W11. Below are more homes for sale in that area.